You are here: Home / Product Reviews / Babies & Kids / Win a Diono Rainier Convertible + Booster Car Seat! 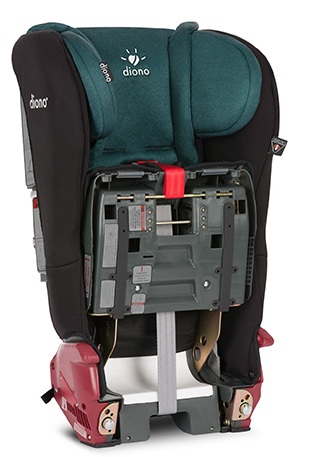 Win a Diono Rainier Convertible + Booster Seat! Every parent and parent to be needs a car seat well before they bring a new little baby into the world. It is actually one of the most important purchases you will make as a parent. For new parents, it can be an overwhelming experience if you don’t know which car seat will work for you in the long run. If you’ve been following along, you’ll know that I had the opportunity to test out this beaut. Car seats have changed over the years and I learned how to get more bang for your buck. You can read my full review, here. 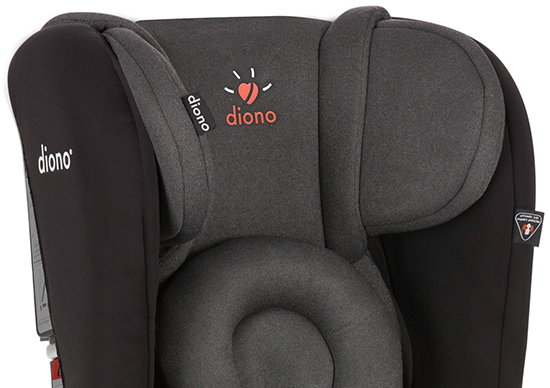 With the Diono Rainier Convertible, you can find a booster seat that will grow with your child. 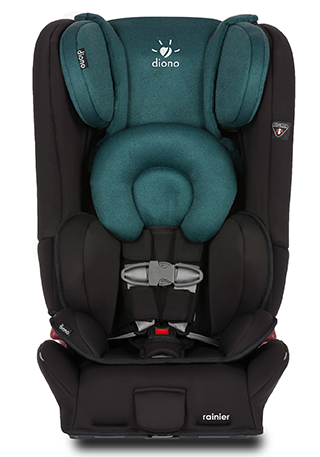 Comfortably seats rear-facing children from 2.3 – 22.7 kg (5 – 50 lbs), forward-facing children from 10 – 29.5 kg (22 – 65 lbs) and up to 144cm (57″) in a 5-point harness, then converts to a booster for children between 23 – 54 kg (50 – 120 lbs). Check out the video above to see how the Diono Rainier works. It is great for all ages and with its extended rear-facing capabilities, it can comfortably seat rear-facing children from 2.3 – 22.7 kg (5 – 50 lbs) and forward-facing children from 10 – 29.5 kg (22 – 65 lbs) in 5-point harness mode. Additionally, it converts to a booster for children between 22.7 – 54.4 kg (50 – 120 lbs) or up to 144 cm (57″) in height. One lucky Whispered Inspirations reader will WIN a Rainier Compatible + Booster car seat! This giveaway is open on May 1 and ends on May 16 and is open to Canada only. For more information about this car seat or other options, visit diono.ca. You can get their latest updates on Facebook, Twitter, Instagram and YouTube. Check out our giveaways page. Look for giveaways and list them too! Previous Post: « Ride in Style & Ultimate Protection with the Diono Rainier Convertible + Booster Seat & Stuff ‘n Scuff Organizer! I love that this seat converts to a booster! So useful for growing children 😉 I’d love this for my child. Thanks for the chance! Thanks for the detailed review i would love to win the for my grandson ! Wow! This is such a great contest. Thanks for hosting this contest. I would love to win! I love that it converts into a booster and can be used from 5lbs to 120lbs! I hate having to get new car seats when the child grows out of the other one. I would love this for my new baby. I love it goes from 5 to 65 pounds ! Thats incredible ! My friends are about to have their first baby , I would love to gift it to them ! My favorite feature is the wide weight range. Ths seat will last for so long! My favorite is the steel frame! The feature I love is that it converts into a booster. I love how long this lasts with your child! I would love one for my daughter. My nephew would love this in his life for his new little one. I would love to win this and gift it to him. I love how long this will last due to its versatility for all ages. I love that this seat converts to a booster, and I have some babies in my family that could use this. WOW, love that this seat is FAA certified and seats rear facing children weighing 5 lbs and converts to a booster seat that can hold children up to 120 lbs, now that’s really amazing!!! This seat would be just great for my son! Thanks! This would make a wonderful gift to my nephew! Awesome giveway i would love this for my grandson! Great contest! I’d like to win for my niece. I love the 12 position adjustable headrest and the safety features. I’m expecting my first LO in August – this would be a great addition to what I need for my baby. This would be a great carseat for my son who is 9 months old! He’s ready to transition out of his bucket seat. The steel frame and 10 year product life of this car seat are great features! I love that it convert to a booster seat! This would be perfect for my granddaughter. This seat would be for my eldest. She has a hand-me down seat from her cousin and it’s about to expire. She’s not big enough for a booster yet, so I would love to win this for her. I would love to win this for ourselves, so we could take our little granddaughter to lots of places. I love that you can use the seat from 5-70 lbs! I really love the long range of use and how slim it fits in your vehicle! this would actually be for my girlfriend who just had a baby a couple of weeks ago. My daughter would love to have this amazing Diono Rainier Convertible and Booster Seat for our grandson. What a beautiful seat it would last my grandson tell he could sit on his own! My nephew would love this seat. I would love to win this for my friend who is expecting! This seat looks wonderful! Would love it for my son. My in-laws would love this as a secondary car seat for the baby we are expecting in August! I like that it can be used from 5 pounds to 65 pounds. My parents would love this. We are expecting and this would be great for their car. Booster conversion is so nice! My 19 month old would love a new convertible car seat! He is currently in big brother’s old one since it still meets the expiration guidelines so far! I love that it suits both rear-facing and front-facing children. I love that it covers every stage of a childs life while they need a car seat. This seat would be perfect for my little grandson,he is so precious ! I would love to use this for my newborn coming in August! It would be perfect for him as he grows older. What a wonderful giveaway,perfect for my grandson.Keeping our kids safe is so important! Thanks for the great review, I have been on the hunt for a seat like this for my granddaughter! I would really love this for my son – he’s in need of a new car seat! I would love to have the Diono Rainier Convertible seat for my grandson. My granddaughter would love this car seat and I like that it coverts to a booster seat. is has some great features,my favorite is how slim it and easy to install ! I would love this seat! I’m due in August and this would be the missing piece to what I need! I love that it converts to a booster! My favorite is the steel frame. My wife would love this seat! She would love how it grows with the child and have to worry about purchasing another one! My grandson would benefit from this great chair ! My in-laws would love this seat – we are looking for a second seat for our baby coming in August. This would be great for them when they take the baby to and from and as he grows older. My sister in law is having baby number 3 in june she will need an extra seat! I have a lot of friends and family members that are pregnant, this would make a great gift. I would love this seat the most because I’m expecting a little one this year and need a car seat. My wife would love this as it grows with the child. We don’t have to worry about getting a new car seat or safety issues. My favorite feature is the steel frame! I would love this! I’m expecting my first in August and this car seat will save us so much money! My daughter needs a carseat for her new baby. My nephew would love to have this seat! My grandson is using the baby bucket right now but he will soon need something bigger like this great seat ! My favourite feature is the steel frame! My parents would use this seat for their car for our new baby coming in August! It would be perfect as we won’t need to move our car seat into their car each time. My favorite feature is the infant body support and memory foam to make baby nice and comfy. I would love this seat! Can’t go wrong with a seat that grows with the child! Save time and money! My daughter Tanya would love this seat. She is expecting her first child in June and has done her research on every baby item that she will need. She loves the safety rating for this car seat. My wife would love this! Don’t have to worry about the car seat changes as the child grows! Can’t go wrong with that! My favourite feature is the steel frame. I do love that it grows with your child and the memory foam to keep them nice and comfy ! Mr J would love this seat. I would love this seat! So versatile!!! My parents would love this seat! We can leave it in the car for our little one for whenever they visit my parents! 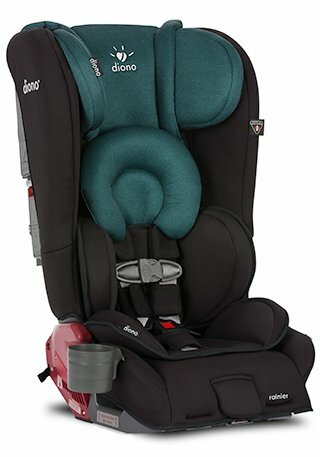 Perfect for the little one growing up and don’t have to worry about purchasing another car seat when they grow older. This is such an amazing seat with wonderful features it would be perfect for my grandson ! I love how easy it is to travel with. This seat would be perfect for my in-laws as a secondary seat! We don’t have to worry about getting another one once he grows older and heavier! I like that this seat grows with the child. My niece would love to have one for her toddler and I love to win it for her. My daughter would really love this seat. I would love to win this seat for my grandson,it would last him for years. I would love this seat! It beats buying another seat once they grow older. Great investment! this would be for one of my nephews. Like that it has memory foam to make child cozy and it converts to a booster seat! I’d love to win it for my kids! My nephew would love this car seat! Went to see it over the weekend and the wife loves it! My wife would love this seat! This chair would be perfect for my newest grandson,it has great safety features. I would LOVE to win this awesome car seat for my daughter because they have 2 cars and have to transfer my grandson’s car seat back and forth between the two vehicles. I would really love this seat!! Fingers crossed I win it! I love how long it can be used for! Really loving the fact the car seat grows with the child. It’s a great way for the family to save money and don’t have to worry about getting another car seat or booster seat further down the road. Love the accessories selection as well! I would love to win for my godchild. Be great for my grandson what a wonderful to keep him safe when out ! I would love to win this for my niece. I love that it’s for such a big age range. My youngest would love this as she has outgrown her current seat and needs a new one. Would love this for my child! My daughter-in-law is expecting this summer, and the car seat sure would come in handy! I hope to win it for myself and my in-laws! It would be a great addition to the baby stuff getting for baby!